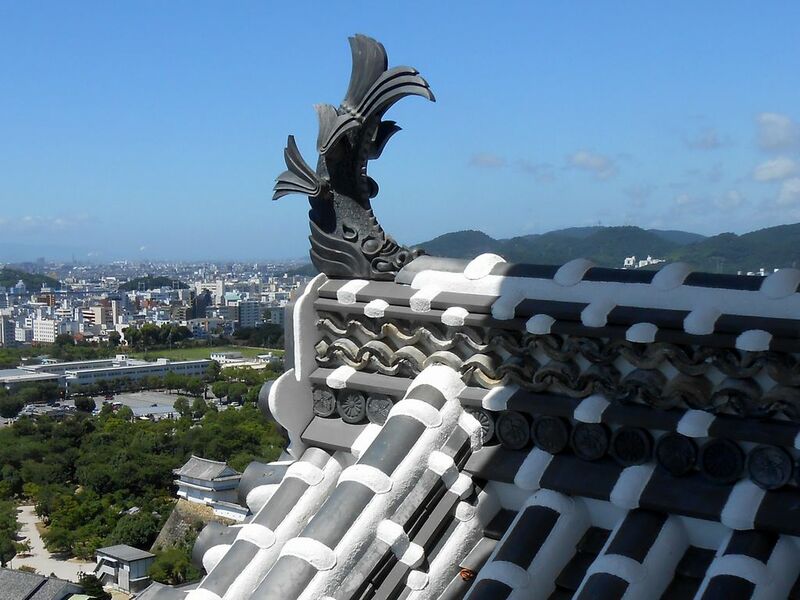 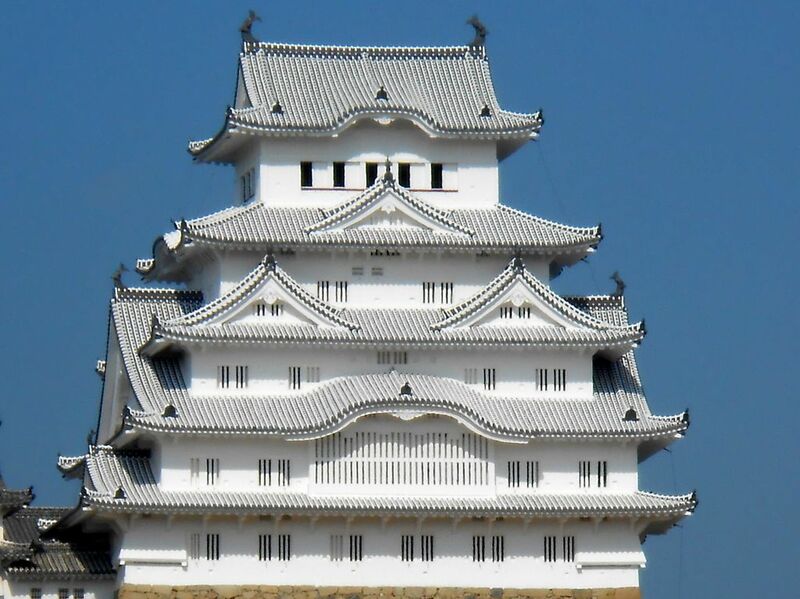 On the roof of Himeji Castle, a lot of roof tiles imitating an imaginary sea animal like a fish with a scary tiger face has been posted. 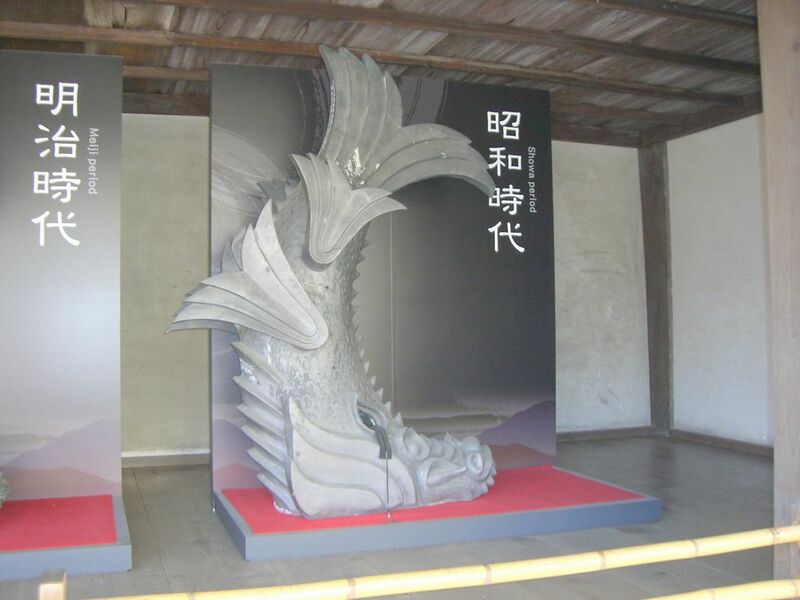 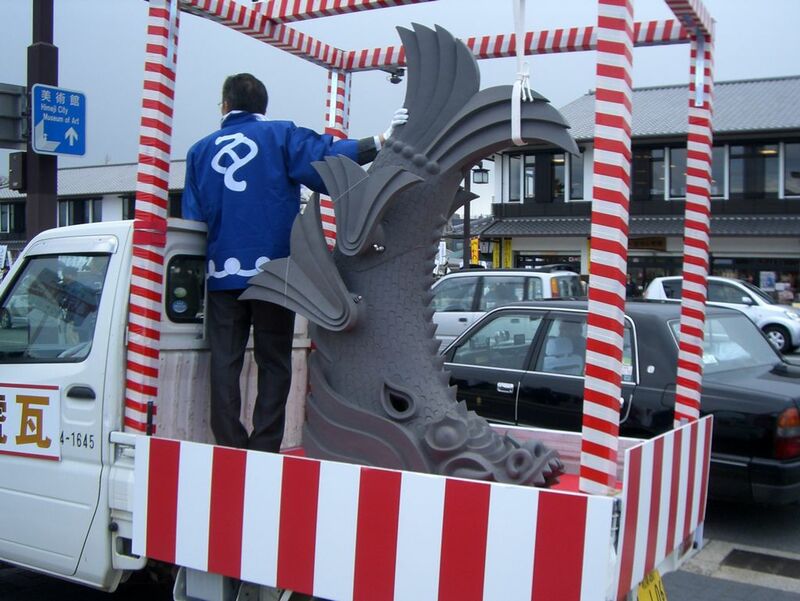 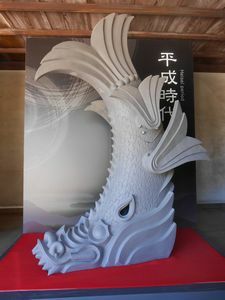 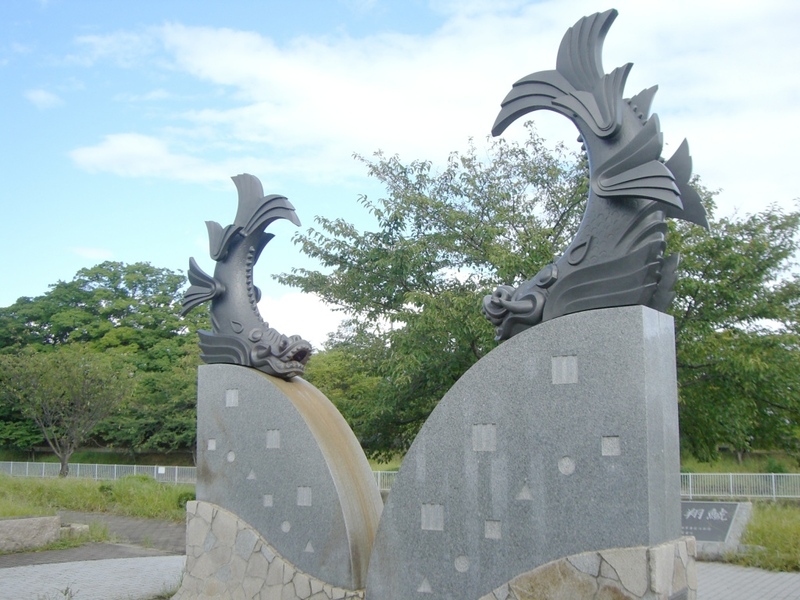 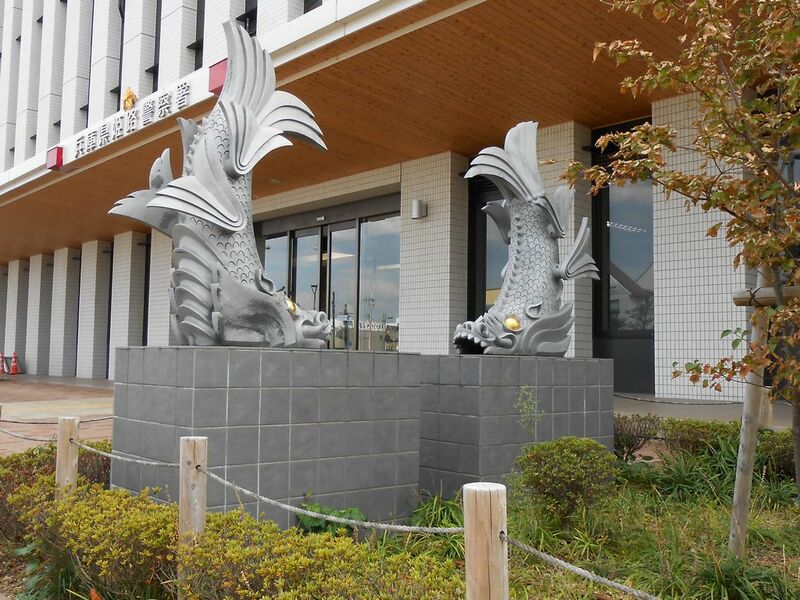 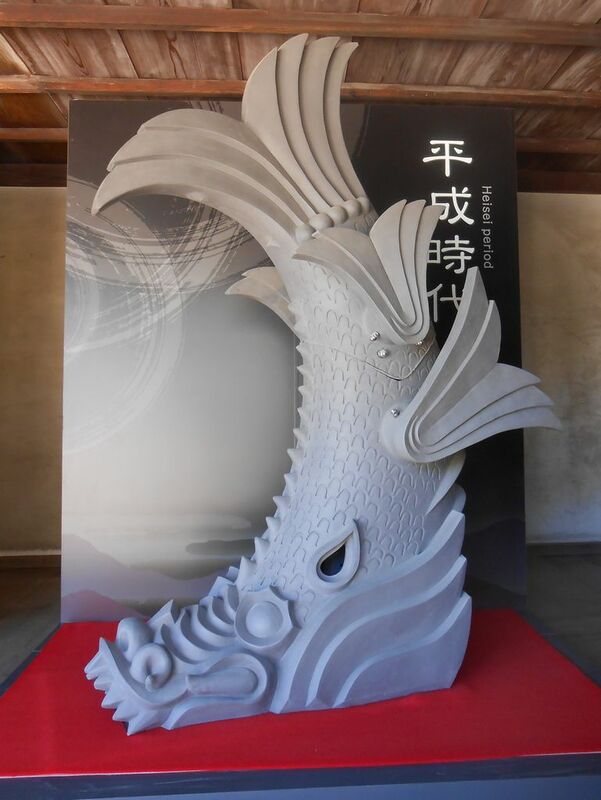 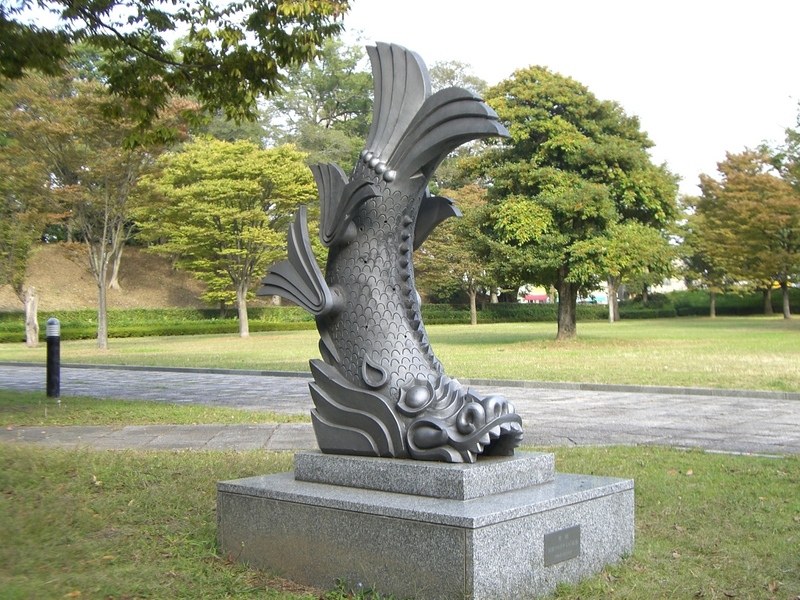 This fish statue is a decoration called Shachihoko,it is also a symbol for fire prevention. 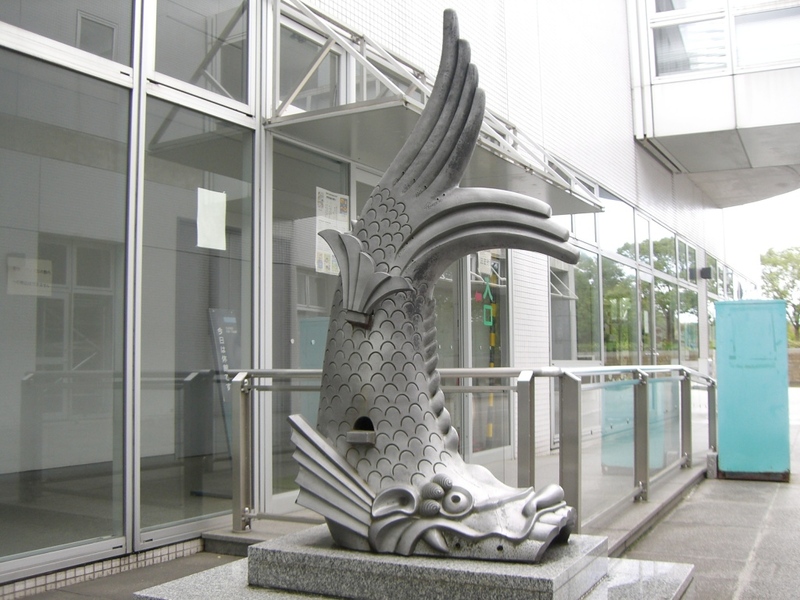 People thought that this fish would spout water out of his mouth in case of fire. 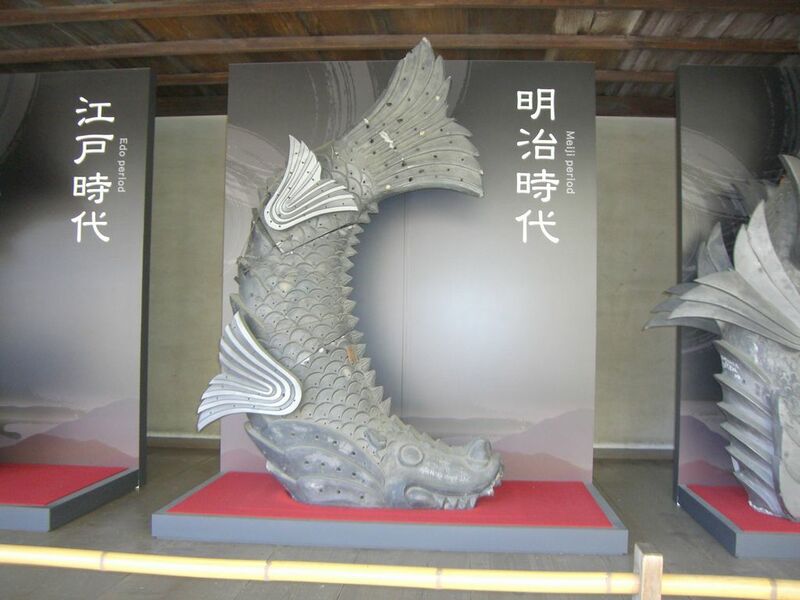 There are 11 fish statues of different sizes on the roof of Main Keep. 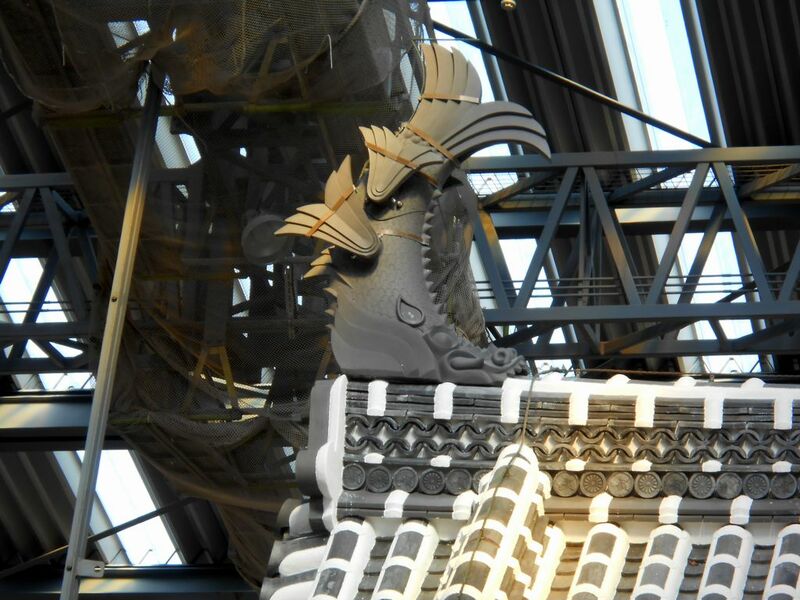 A couple of fish statues on the top roof are the largest among them. 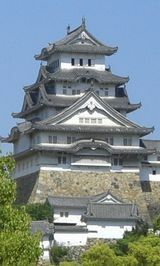 In the repair work of Main Keep for every few decades, we will replace the tiles damaged by aged deterioration etc. 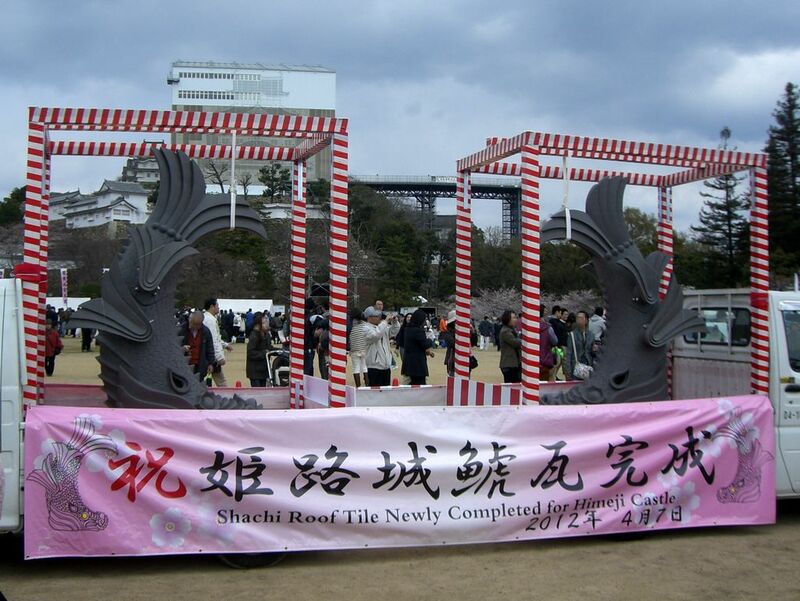 with new ones. 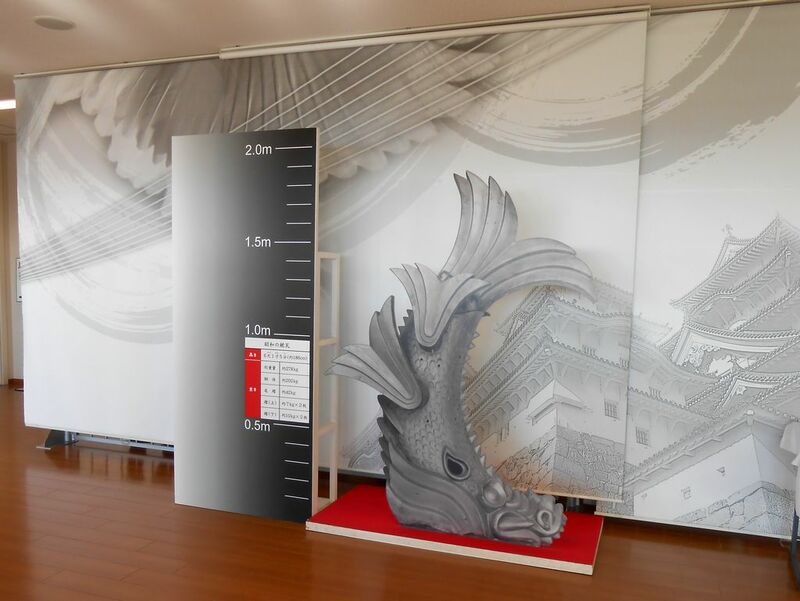 The size of the largest one. 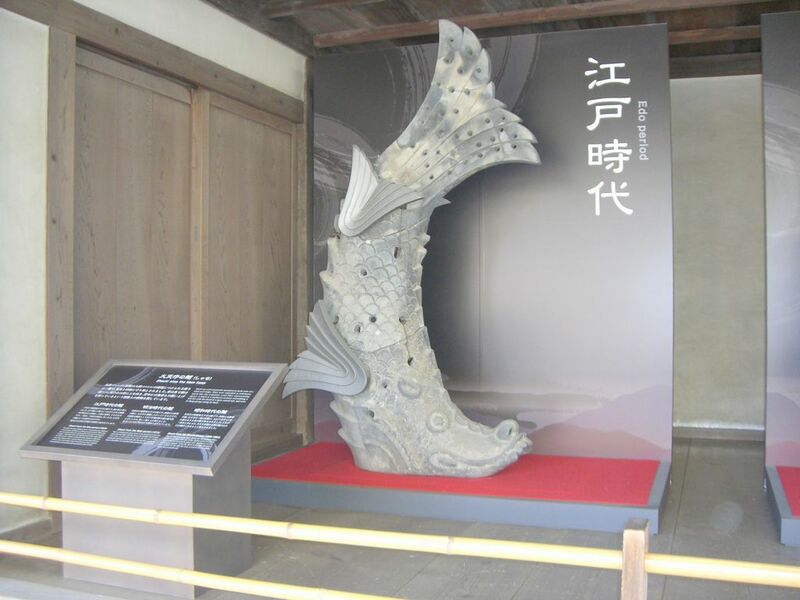 The photo shows damaged Shachihoko tiles,three generations. 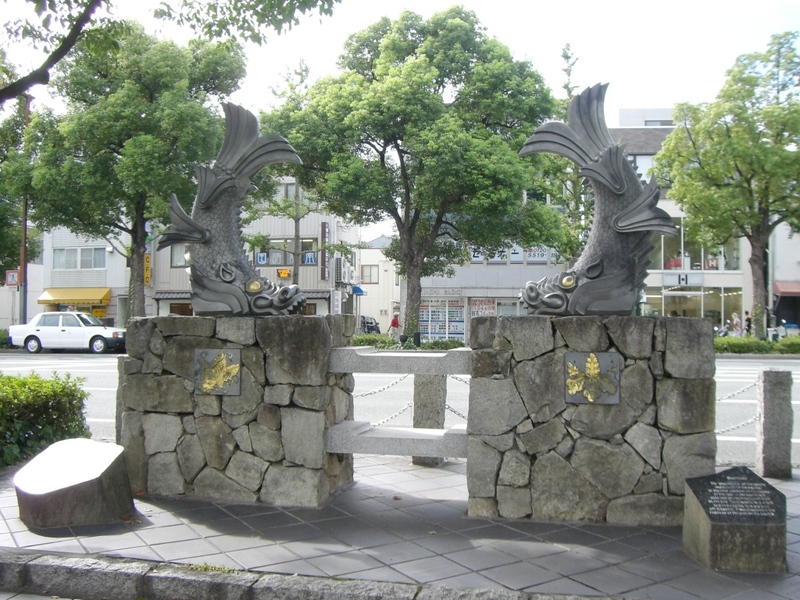 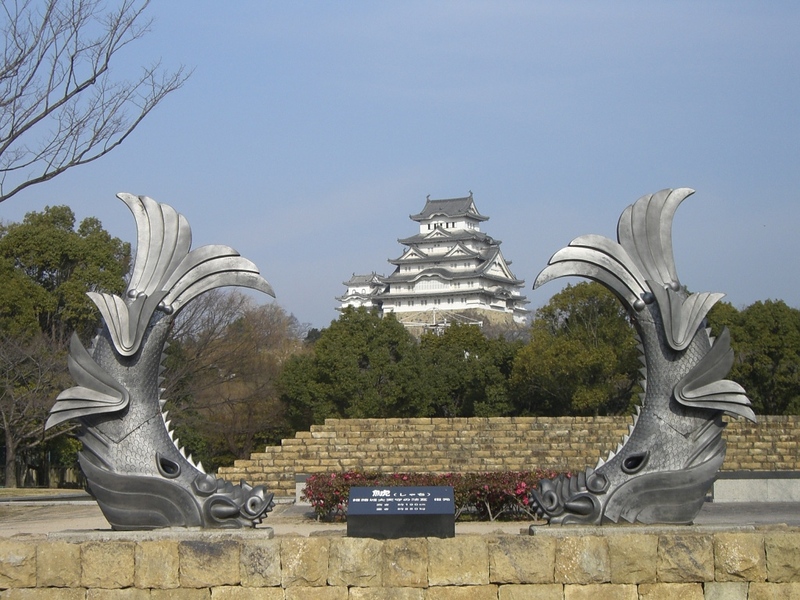 Shachihoko statues are also exhibited on the streets of Himeji. 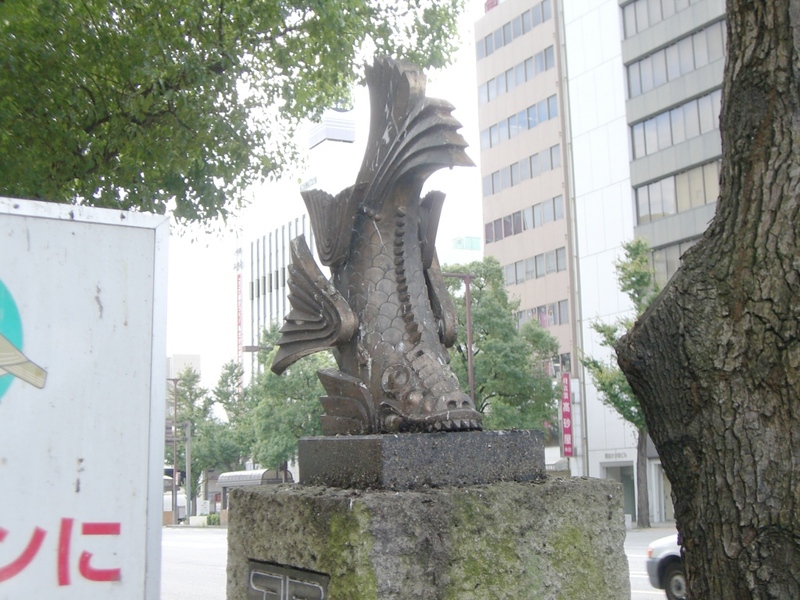 You can see it nearby.